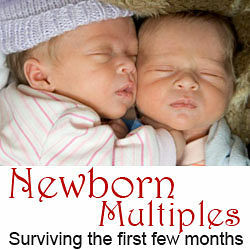 Once you bring them home, the first few months with newborn multiples can be a little bit hectic. It’s a wonderful time, of course, but it’s also a stressful time adjusting to the round-the-clock eating and sleeping schedules of your little ones. Here are some lessons we’ve learned from getting through it. It might already be too late to give you this advice, but if you’re currently pregnant with multiples, do yourself a favor. Get everything done now that you possibly can. On average, twins are delivered at 34 weeks. Ours came at 33 and a half weeks. Also, there’s a good chance you’ll be put on bed rest (or just be too big to move) late in the pregnancy. Everything that you can get ready before the twins come will make their homecoming easier. Have the nursery ready. Labor-intensive tasks like painting and moving furniture are best done by someone else (you shouldn’t be around paint fumes anyway). At the very least, you’ll want to have the furniture assembled, the room clean, and the diapers well-stocked. Plan out some toy storage because you’re going to need it. Get your house in order. Your lovely home is about to be violated in a way it’s never known before. Finish up those home improvement projects, reorganizations, and certainly the babyproofing. Prepare meals and stock up on food. Fill your freezer with casseroles, soups, and pre-cooked food. If there’s ever a time to hit Sam’s club, it’s now. Load up on non-perishables, easy-to-prep meals, toiletries, and that sort of thing. Pretend the end of the world is coming and be ready to hold out for three months. Do your research. There are many experts and other parents of twins who have been through this before you. Heed their advice! 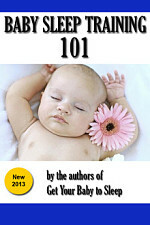 See our reviews of 7 Great Books for Parents of Multiples. Run personal errands. These will be among the first sacrifices when the little ones come home, so go out now and get your hair cut, return that pair of shoes you’ve been meaning to, and drop off those donations to charity. Make sure the car is ready. Have car seats and window shades installed. And ask yourself the question: is it time for a minivan? And make sure that you pick out a good diaper bag for twins with lots of cargo space and extra pockets. Feedings for each twin: what time and how much they took. Nursing and/or pumping. Keeping on a regular schedule will help milk production. Mom’s medication, especially pain meds. Don’t get behind on these! We used a chalkboard, notepad, and iPod to keep track of these things and schedule the next feeding or dose of medication. A dry erase board would also do nicely. This adage is particularly aimed at mom, who’s likely to be the one handling most late night wake-ups and feedings. 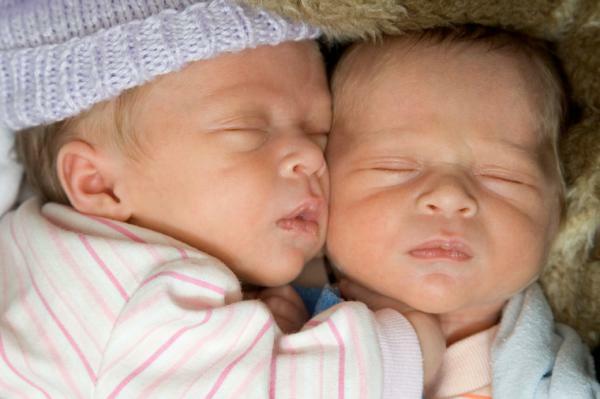 During the first few weeks with twins, you’ll learn what sleep deprivation really feels like. You can make up for this by taking little naps while your little ones are sleeping. Even if you’re on a 4-hour schedule, there will often be a nice 2-3 hour block of time that you can use to catch up on sleep. Remember: your body has just been through one of the more traumatic experiences that humans can survive. Getting extra rest will help. You might be nervous going to sleep while your little ones are napping. You might worry about leaving them alone. This is perfectly natural, and the feelings will lessen [slightly] as your babies grow. A video baby monitor for twins will let you keep an eye on them at all times, without having to be in the same room. Baby containment. As I suggest in 6 ways to contain and entertain your twins, you should take advantage of baby gear that will keep one twin happy and busy while you feed or change the other. Some babies love jumpers or vibrating bouncers, some prefer the swing, some won’t like any of them. You’ll have to try them all to find out. If you’re going out in public, invest in a good double stroller. You’ll get lots of attention, but it will keep the twins secure and your arms free to shop, eat, or what have you. If two adults are going, putting each twin in a single stroller can be equally if not more convenient. Look into a twin nursing pillow or at least one Boppy to support your babies while they eat. This saves you some energy and keeps them more comfortable during feedings. Don’t be afraid to ask for help from friends and family. This is something you might even set up before the twins come. There will be lots of vague offers of “Let me know if you need anything.” That’s a perfect opportunity for you to reply, “Thank you! When the twins arrive, would you mind….” and fill in the blank. It could be bringing over some prepared meals, babysitting your twins’ older sibling(s), mowing the grass, or anything of that nature. Heck, you might just want to point them to our article on 8 ways to help new parents of twins. There are some good suggestions there.